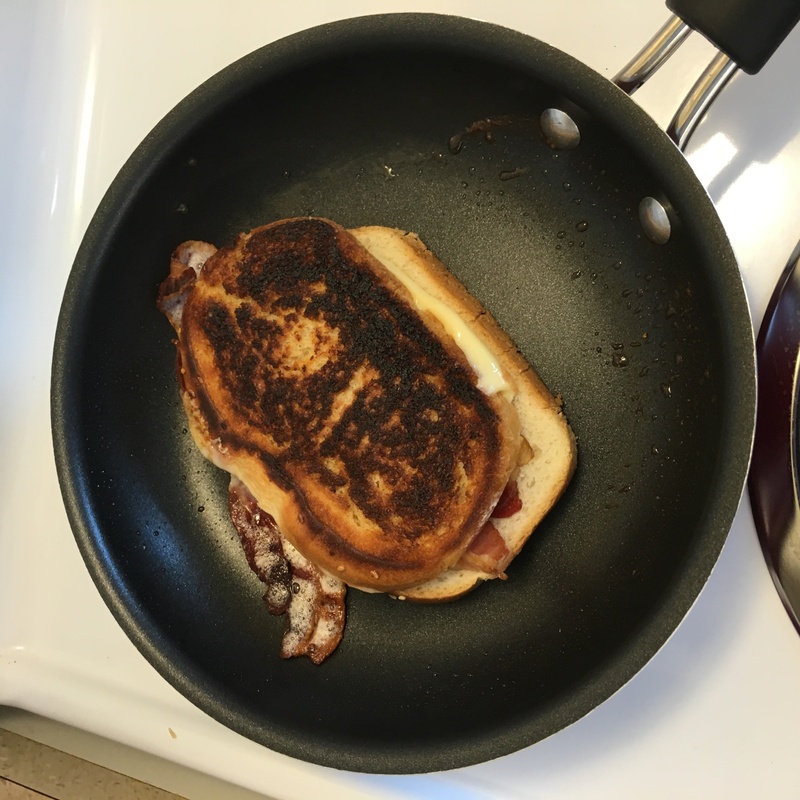 “I want to make a grilled cheese for lunch,” I said to myself today, setting in motion my demise. In theory this was a fun idea, comical even. 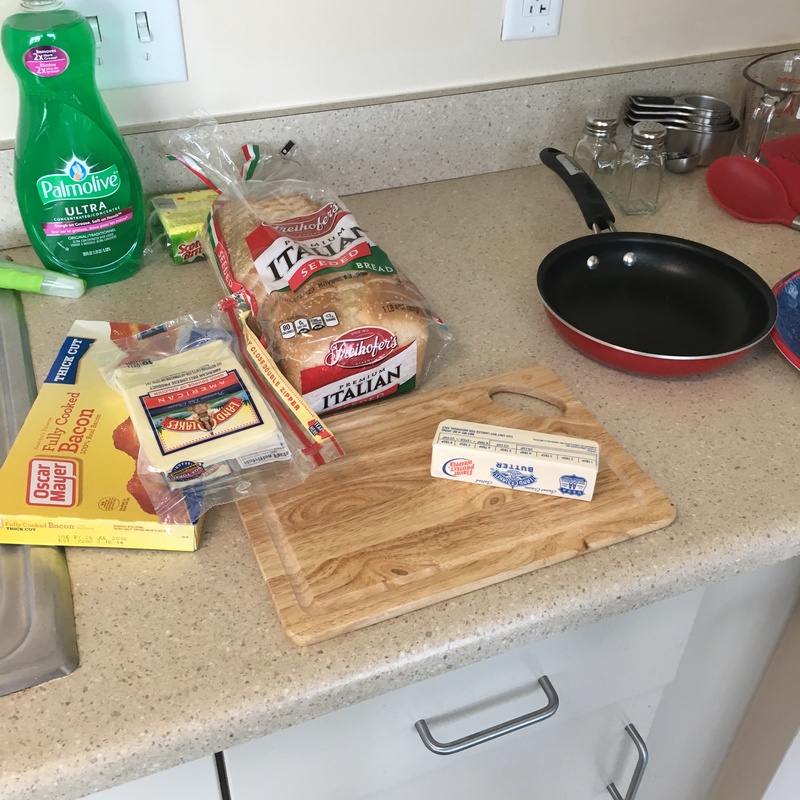 Here I was with a kitchen for the first time in college, finally able to cook everything I had wanted to try, except for the glorious oversight that I had never cooked anything before. No joke, I had never made any food for myself before with the exception of a microwave. So the thought of using a skillet or a stovetop was genuinely terrifying. I am an idiot, through and through. This was an awful plan. 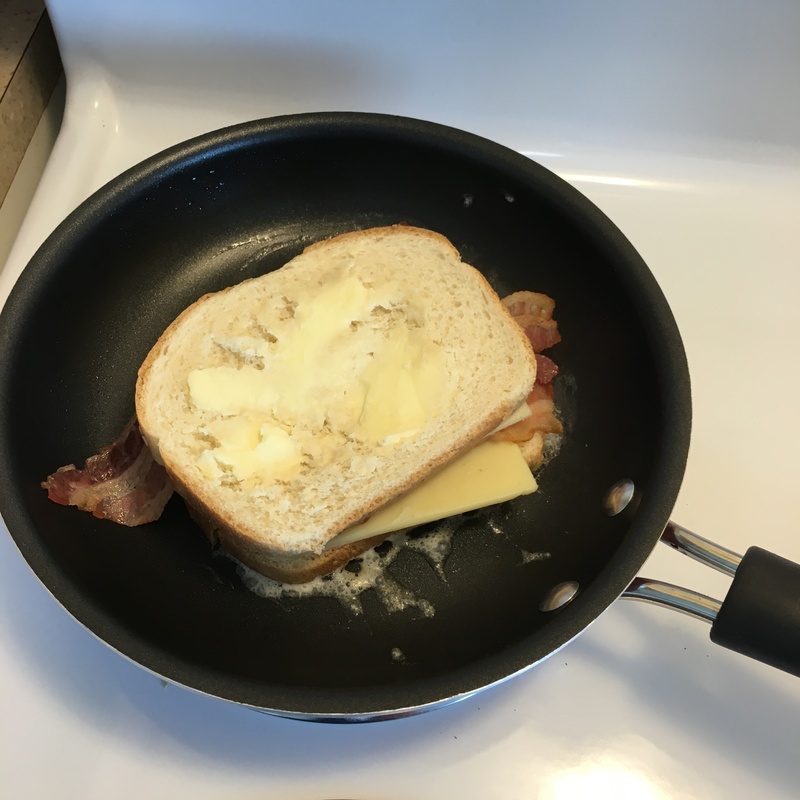 But let’s recap how a grilled cheese with bacon went. For one, I elected to get pre cooked bacon because while I was daring I wasn’t stupid. Making bacon wasn’t a matter of if I would burn down my apartment, but when. As you can see, the bacon warming was easy. That was a slam dunk. My ability to spread butter is apparently still at the toddler stage. A great (terrible) start. So around the time I put this sandwich on the stove there were wisps of smoke coming from under the pan. That’s right, I couldn’t even burn the thing I was trying to cook, I burnt a damn pan. Are you kidding me? I quickly called my mom and calmly asked her if I was about to catch on fire. Thankfully no, it was just the stovetop. It just had some old food on it burning off. Spooky nonetheless. 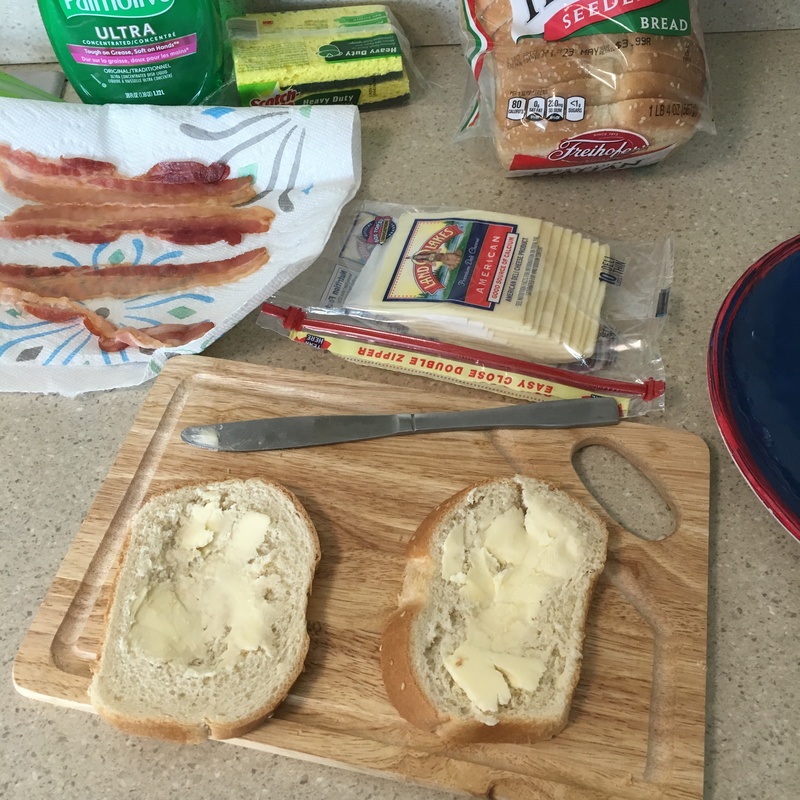 I started to hear some sizzling and figured that I would press the sandwich into the pan, you know, like in the movies. I wonder how it went? I didn’t burn the other side as severely, which is to say not at all. I finished it and finally tried my monstrosity of a creation. I would be lying if I said anything other than that it was the single greatest grilled cheese I have ever eaten in my entire life. It was magnificent. Maybe cooking isn’t so scary after all.